Let's talk restrooms for a while, because why not? We have already looked at Kim's restaurant, but that is, of course, only part of the puzzle. So, the restroom. Not bad, not bad at all. I mean, this isn't the most exciting restroom you'll ever visit. It's certainly an experience low on frills, yet it is still an experience worth having, particularly if you are OK with something more utilitarian. The interiors? Very basic. One might call them spartan, though "minimalistic" could also be applied if one feels a bit more generous. 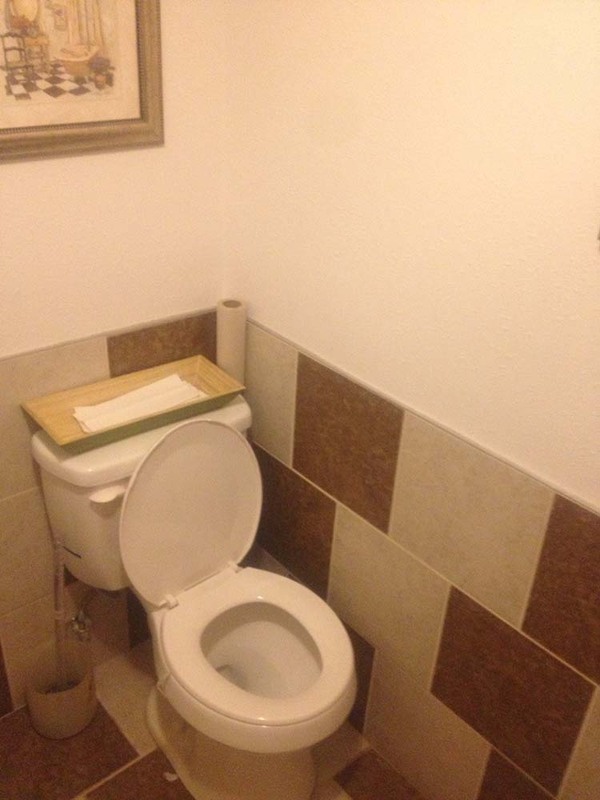 Either way, the interiors do not take away from the restroom's main purpose, and the only real distraction here is a picture on the wall. More important is the scent; some kind of... smelly... thing adds a pleasant, relaxing layer to the restroom. It's not overpowering, but it has a good floral presence that gives the impression of a certain cleanliness. And the restroom is clean; spotless, in fact. Oh, it might be a bit intimidating to walk through a dark store room to get there, but once you're in, everything feels just OK. This isn't an exciting restroom, then, but it does the job well. It's clean, it smells good... Yep, definitely a restroom you can visit without hesitation. Vote for Kim's Korean Restaurant: It’s your civic duty!